Named for its artful look and mottled, variegated leaves, caricature plant is a lush, colorful tropical shrub. This tender evergreen it is believed to have originated from New Guinea but has become naturalized throughout Southeast Asia and parts of Oceania. It grows best in areas with ample warmth and tropical humidity but is otherwise very easy to grow. The satiny leaves are thin and dark green with irregular variegated markings of white and yellow along the central vein. 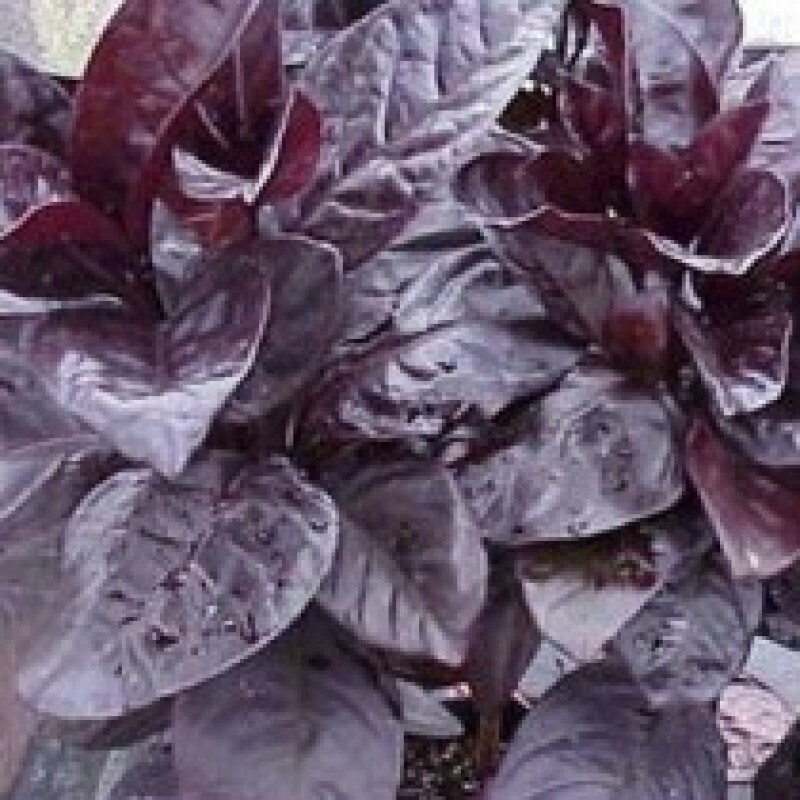 The stems are usually reddish and contrast nicely with the leaves. In late spring to summer each branch tip bears a flowerspike with small reddish purple flowers. The fruit is an inconspicuous capsule. For best growth, grow caricature plant in partial sun and fertile, moist, well-drained soil. It is moderately drought tolerant but will quickly wilt during dry periods if it’s not well established or it’s planted in sandy soil. Pinch the branch tips back to promote fuller branching and a bushier plant. Where hardy, this is an alluring shrub for the mixed border, building foundations, hedgerows or patio containers. In colder climates, it can be grown in a sunroom or well-lit conservatory and brought outdoors in summer. Cultivars are most enjoyed by gardeners, each having their own unique and intriguing foliage color combinations. Two exceptional selections are 'Tricolor', which has leaves of purple-green, light yellow and rose and the warm colored 'Chocolate', which is revered for its burgundy-bronze leaves with pink and cream. The Scarlet Fuchsia Shrub, Graptophyllum excelsum, is one of our beautiful Australian native plants. Handles light frost! It occurs naturally in the top of North Queensland, and a small patch in Coastal Central Queensland. This shrub really stands out amongst other shrubs and plants – it first caught my eye around our dam when in flower. Before it flowered it never caught my eye, but when this shrub is in flower it is a true attention-drawer. The flowers are an amazing cherry red colour and occur in spring and summer. They are fairly small flowers, but it produces a lot of them, creating a stunning effect. Graptophyllum excelsum is a small shrub which usually grows anywhere from 1.5 to 3m tall. Rare plants are seen reaching heights of 8m tall, but this is hardly ever heard off. It grows approximately 1m wide. The shrub itself is often suckering, creating a bushy effect by growing new plants from the base. It is non-invasive and will not get out of control. Graptophyllum excelsum needs be to grown in full sun to very light shade for best flowering, although I have seen some healthy little shrubs growing in amongst the Gum Trees. Flowers will be more sporadic in shade. In very hot area’s it would be wise to give it some shade during the hottest parts of the day. Birds absolutely love the flowers on this shrub, which is fantastic for attracting birds to your garden. (And who wouldn’t want some amazing Australian birds to visit their garden!). In its natural habitat it’s often seen in monsoon forests in limestone soils. This would suggest it would appreciate regular watering for best growth. Ours are on a dam wall in amongst Gum Trees, so I couldn’t imagine them getting much water at all, yet they look amazing. This is a great, versatile little shrub which is sure to suit any garden, from tropical gardens to the colder temperate gardens. You can prune it to shape which makes it excellent for hedging or screens, imagine the beautiful flowers it would bear on the outside of the hedge! The Scarlet Fuchsia would be stunning in a pot, and as it is such a hardy plant, it’s well suited to container growing.